Shazi and Khalid – while they do spend a little time apart in the second book, it was not nearly as much as I was expecting. We get a reunion pretty early on and then they get to see each more than I had hoped. There’s obviously some separation, but they are together and better than ever. I love that we got to see more of their relationship develop after everything was revealed in The Wrath and the Dawn. Their romance is just as swoonworthy as ever. Shazi does more than tell stories. “More” may include Shazi discovering how to use magic powers. Shazi was a strong character in Wrath and the Dawn, but she really stands on her own two feet in this sequel. The writing is gorgeous. Renee Ahdieh writes in such a lyrical, achingly romantic voice that you just can’t help falling in love with Khalid and Shazi’s story. I loved getting to watch other people realize Khalid wasn’t the monster they thought he was. He really comes into his own as the king Shazi knew he could be. There are some enjoyable, if bittersweet side plots and romances. Shazi’s sister gets a little of the spotlight, and we get some closure on some of the side plots from Wrath. There is thankfully not much pressure from the love triangle (Tariq is a main character here, but the love triangle is practically nonexistent, thanks to Shazi’s devotion to Khalid), leaving most of the romantic moments to Khalid and Shazi (SWOON). This duology is easily one of my romances currently. 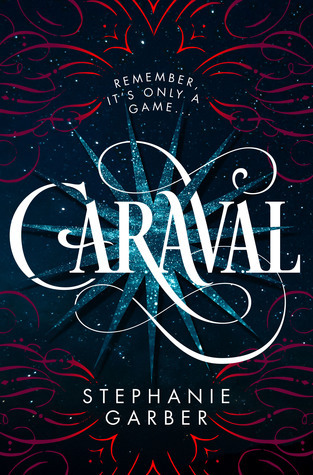 The characters and lovely and strong and interesting, the conflict and world building are detailed and heartbreaking, the romance is to die for, and the conclusion is satisfying. What more could you ask for? Challenges: Good Reads Challenge, TBR Challenge (Historical – this one is more Fantasy, but I think it can also be considered historical-ish), Read My Own Damn Books Challenge. This entry was posted in 4.5 Stars, Book Reviews and tagged 4.5 Stars, Fantasy, Favorites, Magic, Romance, YA.